Kleven, Lowell Allen, beloved father, father-in-law, grandfather, and brother, passed from this life at the age of 81 on Thursday, June 7, 2018. Lowell was born in the spring of 1937 in Montevideo, Minnesota. 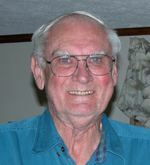 He graduated from the University of Minnesota in 1959 with a Bachelor of Science degree with distinction. He worked as a mechanical engineer for over 50 years with Rosemount Engineering, Uniflo, Origin, Park Energy, and Emerson Process Management, and he loved every minute of it. Lowell will be forever loved and remembered by his daughters and sons-in-law, Susan and Mike Brown, Nancy and Brian Christensen, Cindy and Brett Dahl, his brother Richard Kleven, his grandchildren Nathan, Tyler, Mark, Lily, and Jackson, as well as his extended family and friends. He was preceded in death by his parents Thorwald and Lily Kleven, his wife Lily Ann Kleven, and his granddaughter Ashley Christensen. Funeral Service 11 AM Wednesday (6/13) at Living Christ Lutheran Church, 820 Lake Drive, Chanhassen. Visitation 5-7 PM Tuesday at Huber Funeral Home, 16394 Glory Lane, Eden Prairie and one hour prior to service at CHURCH. Interment Eden Prairie Cemetery.